1 Why Study Motor Skill in Autism? 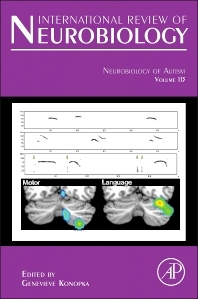 This volume in the International Review of Neurobiology is a comprehensive overview of the state-of-the-art research into autism pathophysiology. Its chapters cover a wide range of etiologies, from genetics and development to environmental factors. In addition, it discusses key cell and behavioral phenotypes, including cortical and cerebellar phenotypes, as well as language and motor outputs. Finally, this volume's chapters on gene expression in the brain describe how genes may be connected to phenotypes in autism.